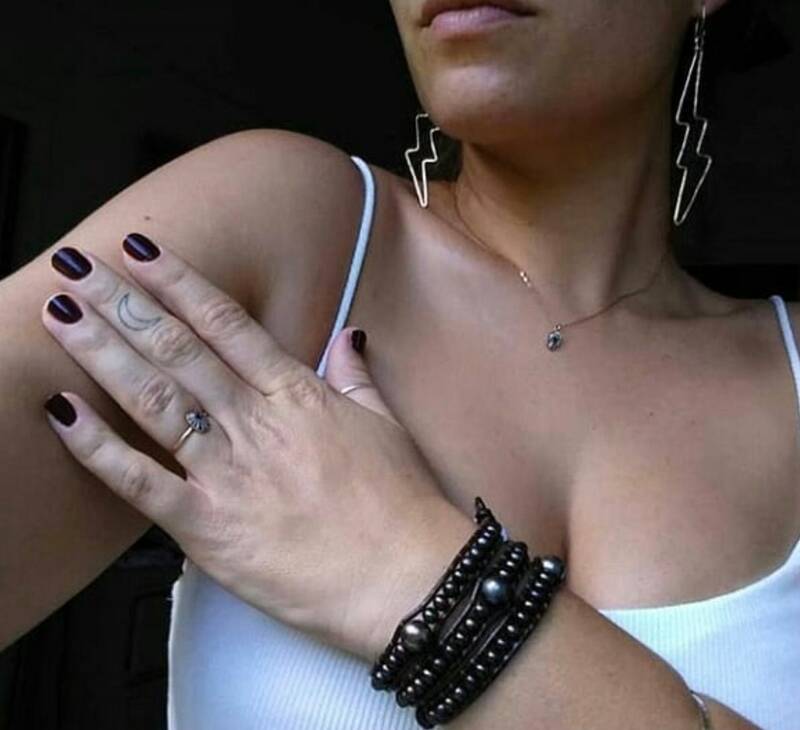 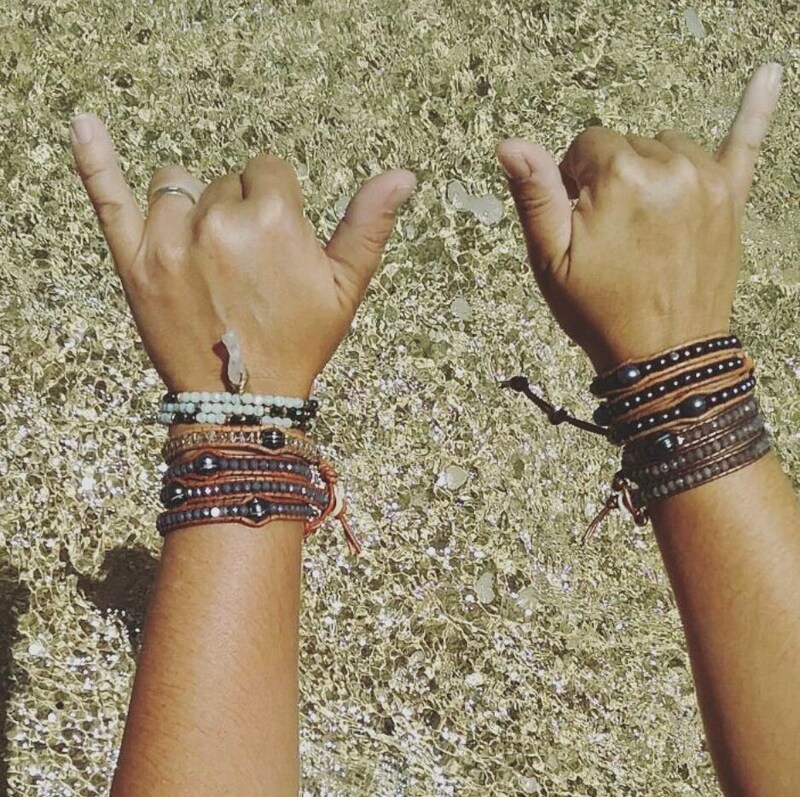 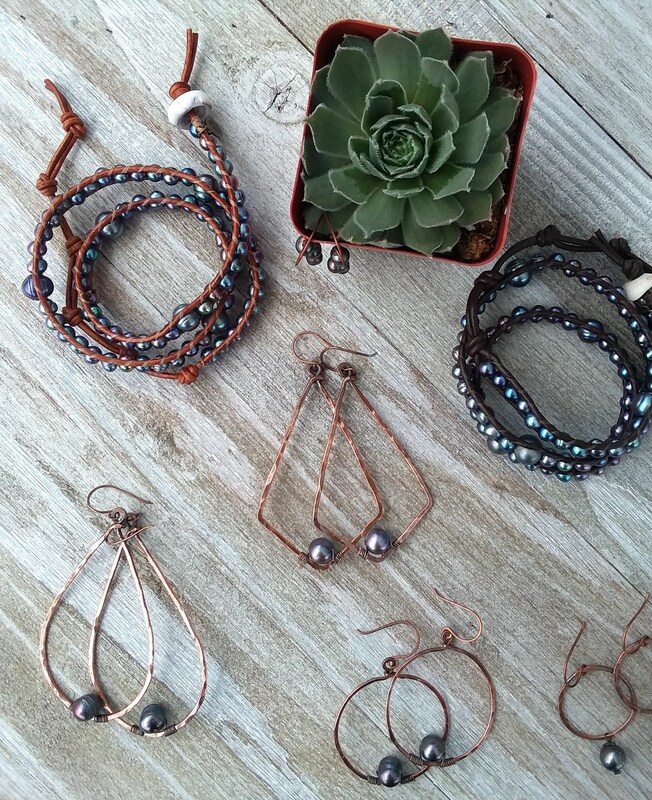 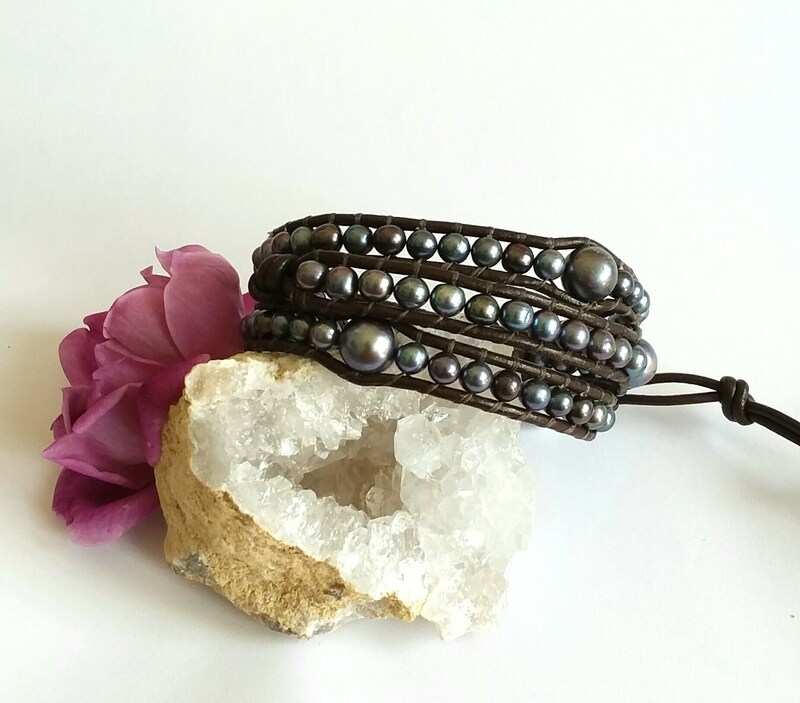 A triple wrap beach boho bracelet. 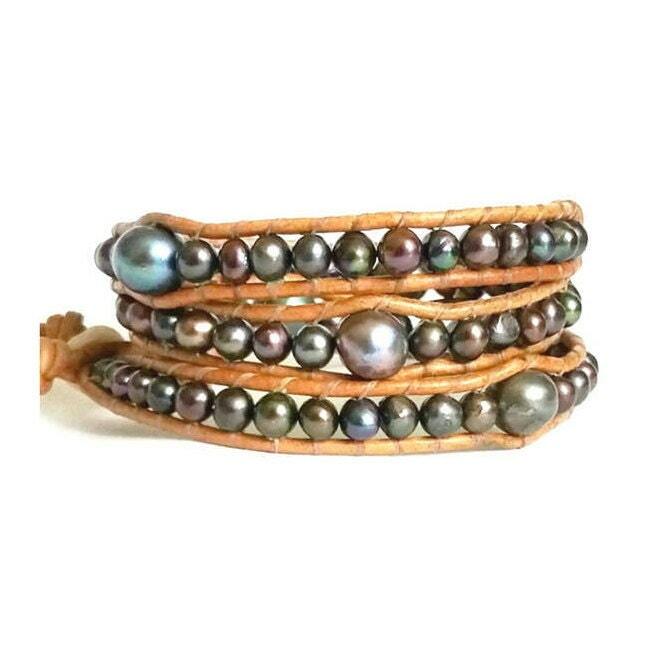 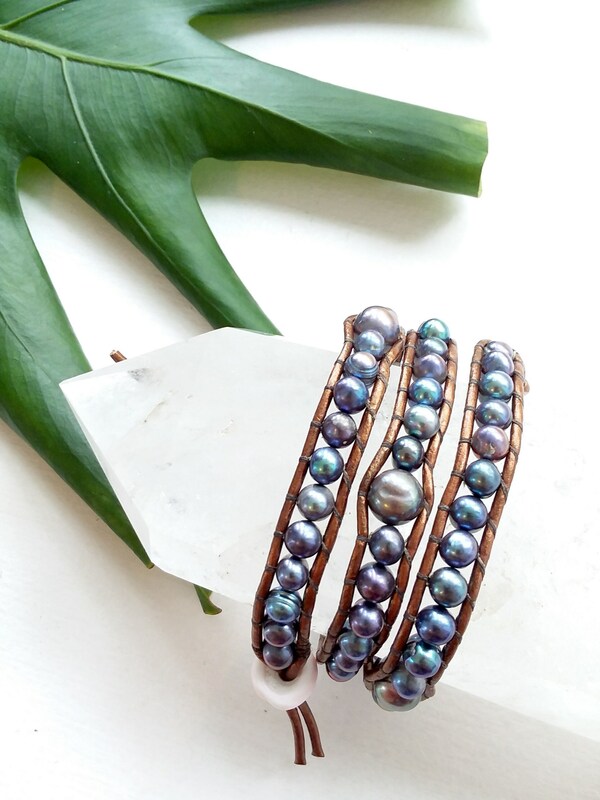 A beautiful iridescent bracelet made with leather and freshwater pearls. 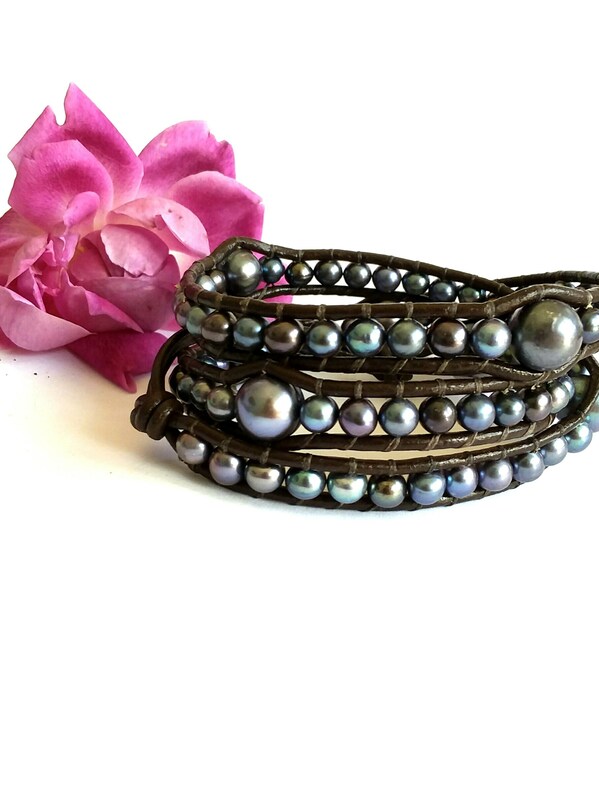 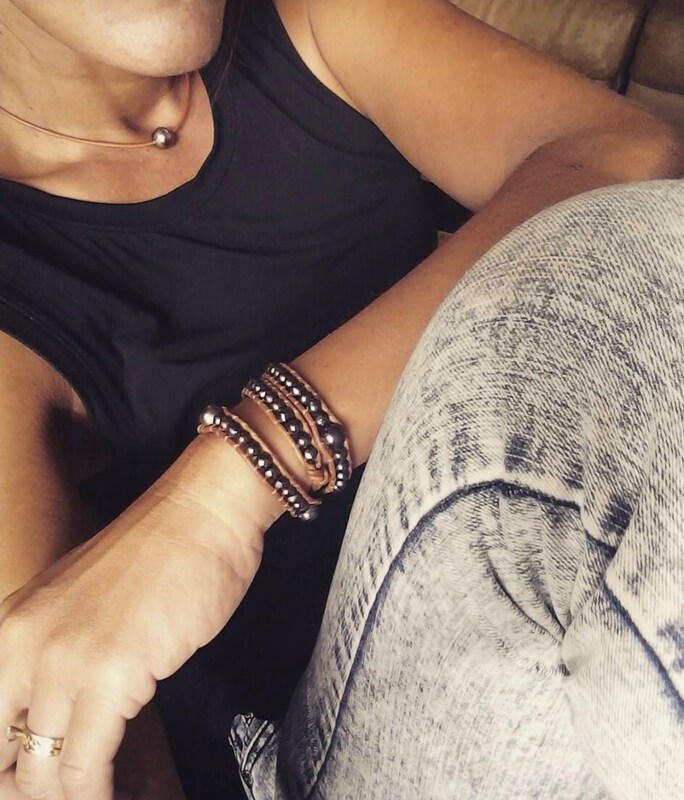 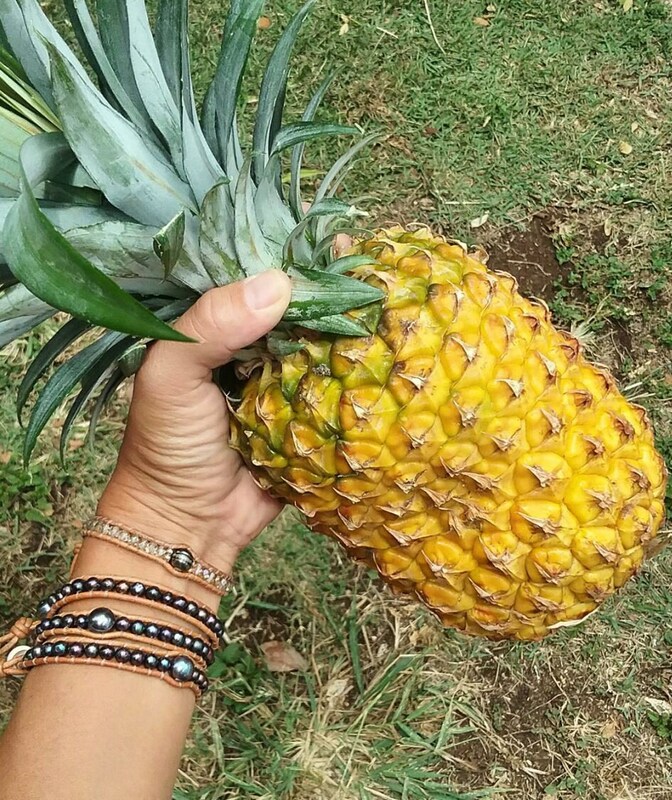 Wear by itself, or stack with your favorite bracelets for an arm party!